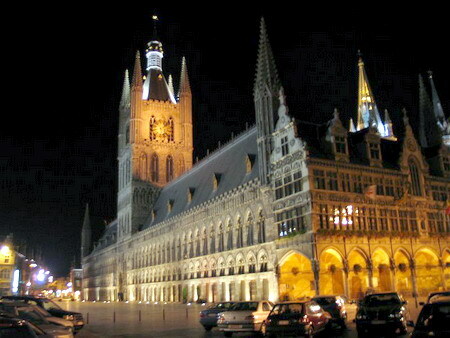 Ypres is an ancient town, and is known to have been raided by the Romans in the first century BC. The city of Ypres, the heart of the Salient, was involved early in the First World War. 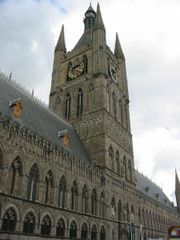 During World War I, Ypres was the centre of intense and sustained battles between the German and the British Empire forces. The town was all but annihilate by the artillery fire. Ypres was reduced to ruins. After the War, the town was rebuilt, with many of the original pre-war buildings recreated, and today, standing in the town you would hardly believe that most buildings are at most 80 or so years old. During Ypres Fields Guided Tour you will visit the museum which is situated on the upper floor of the Cloth Hall (Lakenhalle) in the centre of Ieper (Ypres). In Flanders Fields Museum presents a new large, temporary exhibition 'The Last Witness, The War Landscape of the Ypres Salient'. In the Ypres area there are numerous war cemeteries from the different nations. A large part are British. A lot of them you will know after Ypres Guided Tour with me, tourist guide in Belgium Joyce! One of the largest and most impressive is the Tyne Cot cemetery, which is situated to the south of the village of Passendale. Here can be found a total of 11.856 graves : 8.901 British, 1.353 Australian, 966 Canadian, 519 from New-Zealand, 90 South-African, 14 from New Foundland, 6 from Guernsey, 2 from the British West-Indies, 1 French, 4 German and 101 graves for soldiers whose nationality could not be determined. 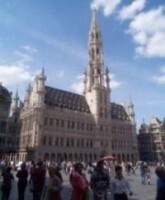 I provide tailor-made tour " Ypres Guided tour " - join it today an you will get the most fascianating Sightseeing Belgium! 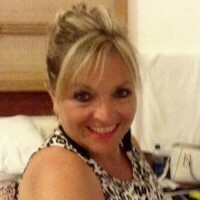 I am not only tourist guide belgium, but also private driver guide Belgium and transporation may be organised upon request up to 7 persons!